We stopped for a break today, stopping by the site of our latest installation at the McNally Jackson cafe before walking up to Menkui-Tei for lunch. Some really lovely flying books and walls covered in printed pages will soon accompany your visit to the bookstore. If you didn't already love the store, now hopefully the renovated cafe will make you even happier to spend time there. 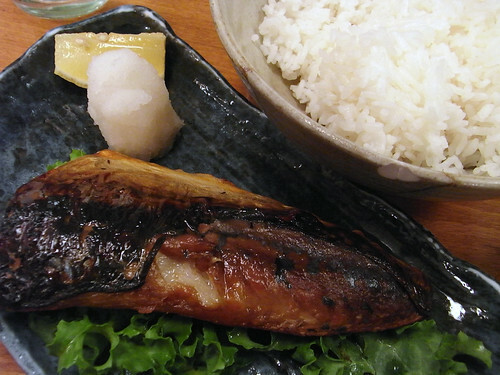 A brief report on lunch: the broiled mackerel with rice lunch special was pretty tasty but the oyako don just ok.